Galerie Judith Andreae is a contemporary art gallery from Bonn, representing both young and established international artists from the fields of painting, drawing, photography, video, sculpture, object, installation and performance. For the solo exhibition FEEL COLOR Regine Schumann creates a new kind of light production. 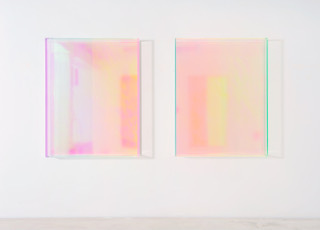 The multi-coloured acrylic glass works of her site-specific installation are shown in a rhythmic alternation of daylight, artificial light and black light - flowing, fading, stroboscopic. Parallel we show corresponding works by Stefanie Brehm and Hildegard Elma on the topic feel color. At the same time as the gallery exhibition, works by Regine Schumann can be seen from May 17 to September 2019 as part of the exhibition "Goethe_Transformation of the World" at the Bundeskunsthalle in Bonn. 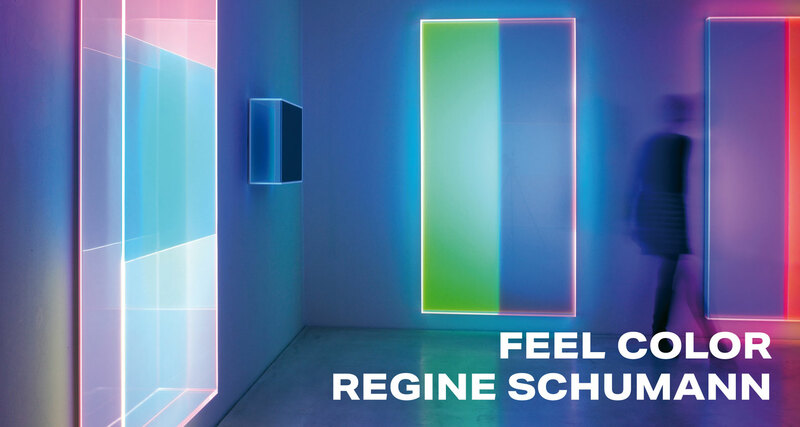 The Opening of the Soloexhibition FEEL COLOR by Regine Schumann will take place at the Night of the Galleries on may 3th, 2019 from 6pm to 12 am. The exhibition will be running until july 6th, 2019. 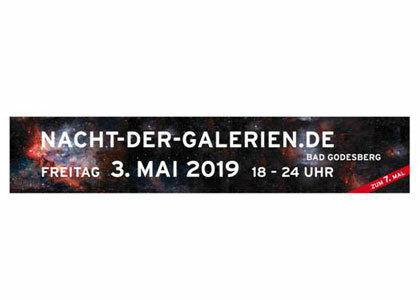 On May 3th, 2019 the 7th Night of the Galleries will take place in Bonn Bad Godesberg from 6pm to 12 am. On this day we will open the solo exhibition REGINE SCHUMANN - FEEL COLOR, which will be shown until July 6th, 2019. Parallel to Schumann's works, corresponding works by Stefanie Brehm and Hildegard Elma will be shown.